Is one of your family members in need of therapy to recover from an injury or surgery? Do you have a seriously ill loved one who needs daily assistance and care? Keeping them in a home setting -your home or theirs is often the best solution. Besides being more cost-effective, in-home care in Laguna Beach CA is also easier on patients and their families because there is no need to worry about transportation to and from appointments or the possibility of feeling depressed and isolated in a facility. Patient quality of life is one of our top concerns at Acacia Home Health Services. In collaboration with the doctor on the case, we will work hard to provide the best possible improvement in symptoms and/or pain relief so that patients can enjoy their lives to the fullest. 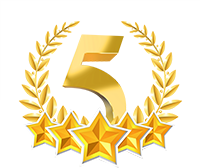 Medicare-Approved: The Joint Commission has placed its seal of approval on our services, awarding us a 4.5 star quality rating on Medicare.gov. We earned this near-perfect rating by excelling in the care measures assessed by Medicare, including timeliness of care, quality drug education for patients and caregivers, and improvement in pain management and self-care. Holistic Approach: At Acacia Home Health Services, we recognize that the best in-home care in Laguna Beach CA involves more than just providing for physical needs with medications and therapies. For this reason, we do not limit our services to just improving or managing physical problems. With the assistance of social workers and volunteers, we are able to provide holistic services that help engage patients and families socially and emotionally and improve their quality of life. Options for Palliative or Hospice Care: While the first intention of our in-home care in Laguna Beach CA is to help patients improve and become more independent, in some cases this may not be medically possible. These patients may then require palliative care or hospice care. Because Acacia Home Health Services has a separate arm that is licensed to provide these services, we can provide an easy transition to this type of home care if and when necessary. We’re happy to answer any questions you may have about in-home care in Laguna Beach CA. Just call us at 818-241-2200 or send us an online contact request. Copyright © 2019 Acacia Home Health Services. All Rights Reserved. Website by Webstract Marketing.